Redmi Note 7 was launched alongside Redmi Note 7 Pro on March 1 in India. The device will be up for sale today at 12 noon via Flipkart and Mi.com. Xiaomi’s latest Redmi Note 7 is set to go on sale in India today. The Redmi Note 7 Pro which has the 48MP camera, only goes on sale next week on March 13. The Redmi Note 7 phone will be up for sale at 12 noon through Flipkart and Mi.com and Mi Home stores. The price of the Redmi Note 7 device starts at Rs 9,999. To recall, Redmi Note 7 was launched in India alongside the Redmi Note 7 Pro. While the Pro variant comes with a 48MP Sony IMX586 camera sensor, the latter does not have a 48MP Samsung ISOCELL GM1 sensor as seen on the China variant. The Indian variant of Redmi Note 7 comes with a 12MP+2MP dual rear camera setup. Redmi Note 7 is priced at Rs 9,999 for 3GB RAM and 32GB internal storage variant, whereas the 4GB RAM and 64GB storage model is priced at Rs 11,999. Redmi Note 7 in India is available in three colour options– Onyx Black, Ruby Red, and Sapphire Blue. Airtel is providing up to 1120GB 4G data and unlimited calling as well as ‘Airtel Thanks’ benefits like free access to Airtel TV premium and more. Reliance Jio customers will get cashback vouchers worth Rs 2,400 in MyJio application along with double data offer on all recharges worth Rs 198 and above. Furthermore, users can also avail a 5 per cent discount with Axis Bank Buzz Credit Card when buying from Flipkart.com. Redmi Note 7 has a 6.3-inch FHD+ display with 1080×2340 pixels resolution and a 19.5:9 aspect ratio. The device is powered by an octa-core Qualcomm Snapdragon 660 processor coupled with 3GB and 4GB RAM options. 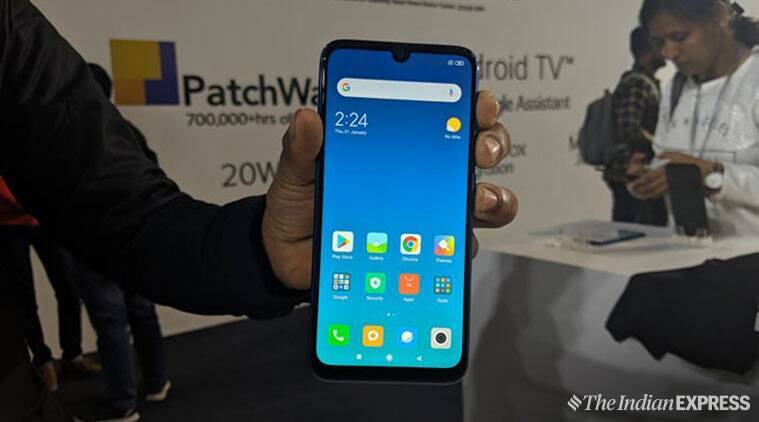 Redmi Note 7 runs Android 9 Pie with MIUI skin on top. It sports a 4,000mAh battery with Qualcomm Quick Charge 4.0 support. The device has a dual rear camera setup carrying a 12MP primary sensor with f/2.2 aperture clubbed with a 2MP secondary sensor for depth sensing. At the front, the device has a 13MP selfie camera that has features like AI portrait mode, face recognition, HDR support and AI screen detection. Redmi Note 7 also sports a 3.5mm headphone jack, a fingerprint sensor at the back, IR blaster and USB Type-C port. Redmi Note 7 also comes with P2i coating which makes it splash resistant.